SELECTED FOR FILMING BY HGTV for Lake Norman area! GREAT LOCATION ! 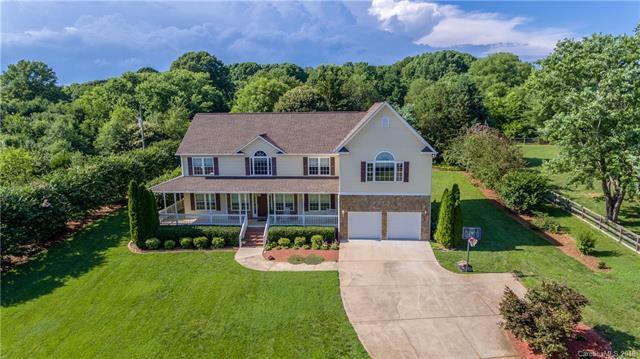 SOUTHERN CHARM, SOLID CUSTOM CONSTRUCTION DESCRIBES THIS HOME W/COVERED WRAP AROUND PORCH BOASTING SPACIOUS AND LIGHT FILLED ROOMS ON BEAUTIFUL ACRE LOT. Living rm w/fireplace; surround sound flows through the breakfast rm & lrg kitch w/abundant wood cabinets,2 pantries and a breakfast counter. Ceiling fans throughout. All this living space overlooks a beautiful private yard & deck.Large bedrms and a lovely loft w/picture window. Large master, mster bath has a spa tub w/garden window & huge walk in closet. An outstanding $75K addition - 750+ sq.ft. bonus/theater room w/surround sound, equip included. New AC- 2015. Solar powered attic fans. Room for pool. A rare retreat on an acre+ lot bordered with trees. Approx 340 sq.ft Work Shop w/electric is a bonus for the buyer. Minutes to Cornelius, Davidson downtown Mooresville; great dining & shopping. Room for RV parking. Oversized garage, NO HOA AND A MOTIVATED SELLER! Sold by Gw Estates And Homes, Inc.